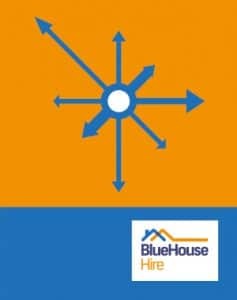 Blue House Hire provide quality plant and equipment hire to the construction and insurance industries. We also hold a vast range of flood and fire damage restoration plant, including specialist speed drying and target drying equipment, which can significantly reduce drying times as part of our restoration service. All our plant is PAT tested to meet current health & safety regulations and are also member of the Hire Association Europe. Delivery and collection service, subject to availability. For further information please contact Blue House Hire.